Brynja is a tall striking young woman standing over six foot. She is of obvious Norse decent with a strong athletic frame and fair skin with a sprinkling of light freckles. 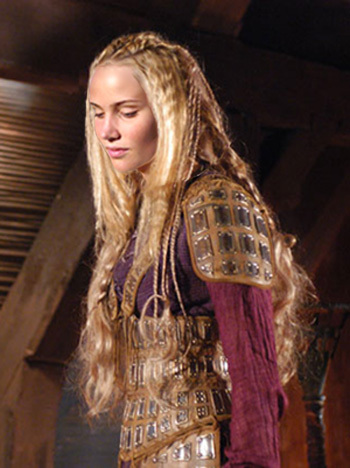 Her long blond hair is often worn with a number of braids though it is sometimes worn completely down wavy. Her eyes are a penetrating ice blue. There is nothing high maintenance about her as she is naturally a stunning physical specimen of Fenrir breeding.